YES! 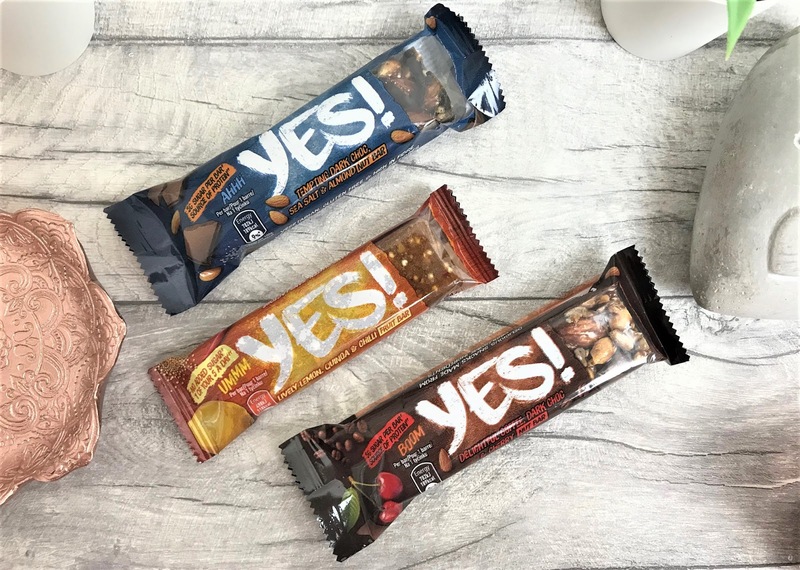 Fruit and Nut Bars (£1.20 each) - This month you will receive three different YES! bars including Delightful Coffee, Dark Choc & Cherry Nut, Lively Lemon Quinoa & Chilli and Tempting Dark Choc, Sea Salt & Almond Nut Bar. These bars contain no added sugar and the fruit bars count as one of your five a day. I definitely recommend the Tempting Dark Choc Nut Bar! 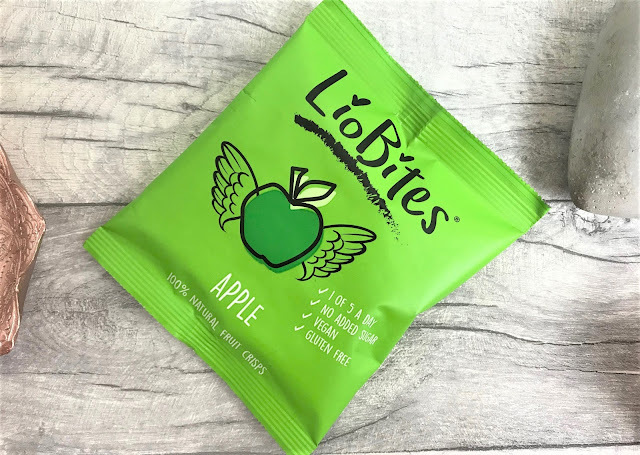 LioBites (£1.50) - These are freeze dried fruit crisps and you will receive either the Strawberry or the Apple. LioBites are a healthy sweet snack which are full of flavour, vitamins and antioxidants and one pack counts as one of your five a day. Willy's Apple Cider Vinegar (£2.95) - Apple Cider Vinegar has become THE thing to have in the last year or two as its health benefits are endless. 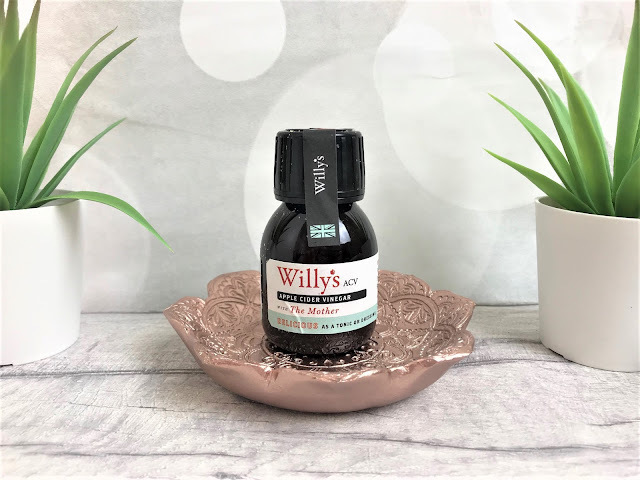 It isn't the most pleasant of tastes to me personally, but you only need a small amount and it can be used in salads, smoothies, with water and much more. 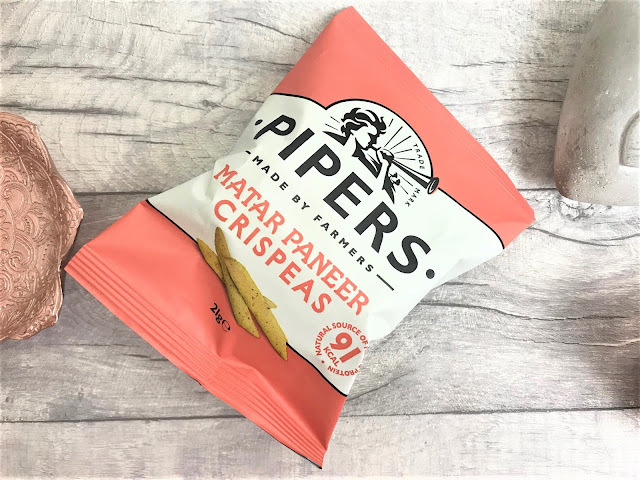 Pipers Crispeas Matar Paneer (£1.00) - Crispeas are a fresh take on the British pea, offering protein, fibre and just 91 calories a pack. Pipers are actually owned and ran by a family member so I am a little biased about how great they are. I love this Indian flavouring. 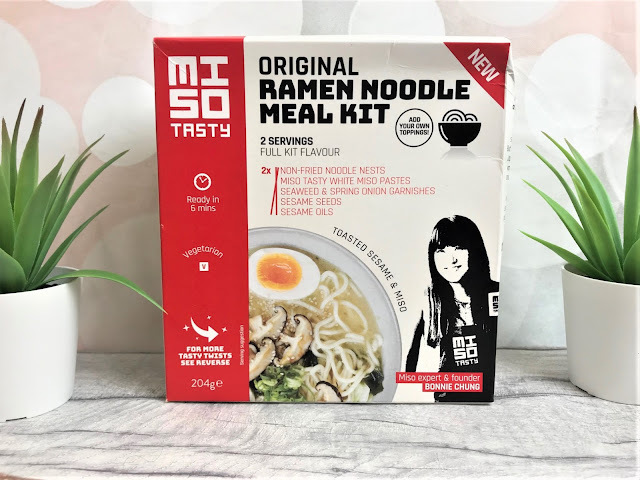 Miso Tasty Original Ramen Noodle Kit (£3.50) - You cannot beat having something like this in your cupboard for when you can't decide what to cook. Ramen Noodles are non-fried noodles and this is a comforting meal with a light base from their signature miso. You also get sesame oils and toasted sesame seeds for extra flavour. 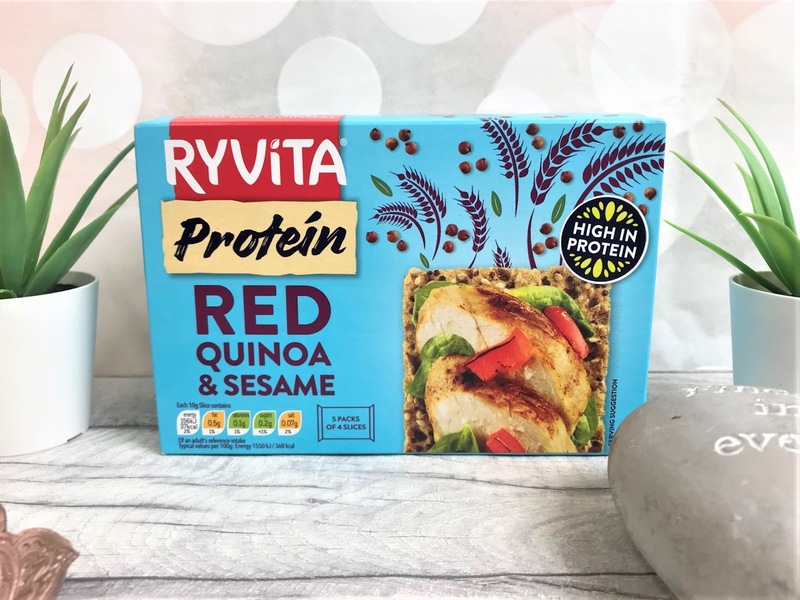 Ryvita Protein Red Quinoa & Sesame (£1.59) - Ryvita have really upped their game in the last couple of years and are constantly bringing us new creations and inventions. 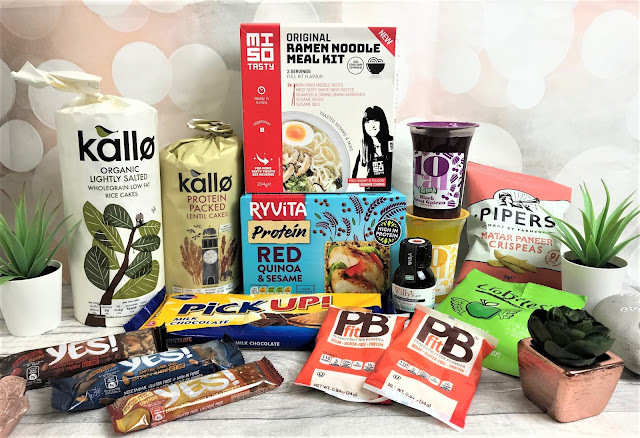 These Ryvita are baked with pea protein and rye, making them high in protein, high in fibre and suitable for vegans. 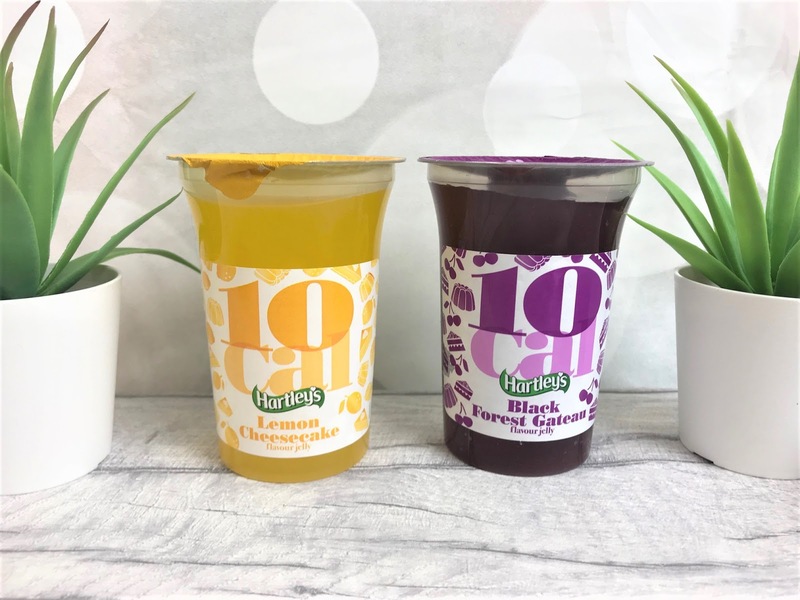 Hartley's 10 Cal Jelly Pots (75p each) - You will receive two jellies in your box - Black Forest Gateau and Lemon Cheesecake. Now, I already have plenty of these as I keep them in my fridge and for a low-cal low-fat treat, I pop one in a bowl, add some low-fat squirty cream and pour over some sprinkles. They are also great if you are on Slimming World as they are just half a syn! 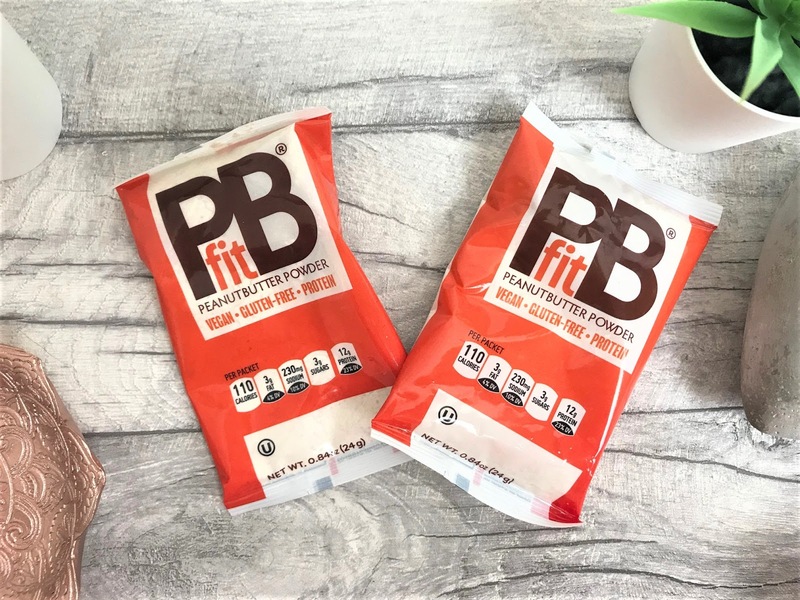 PBfit Peanut Butter Powder (75p each) - You will receive two sachets of this product. PBfit is everything you love about peanut butter, made better. Whole-roasted peanuts means PBfit contains up to 90% less fat than traditional peanut butter and about a third of the calories. This is great used in smoothies, shakes, baking and more. Kallo Corn Cakes & Lightly Salted Organic Rice Cakes (£1.30) - You will receive one or the other in your box. 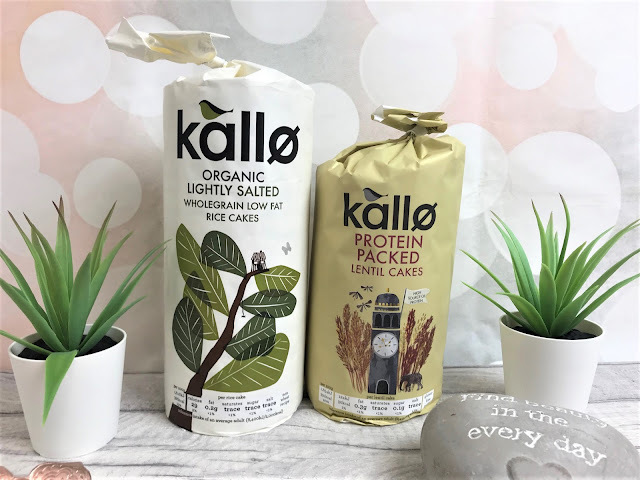 Kallo's range of rice and corn cakes provide the perfect new year snacks to get you back on track and at just 30 calories, less than 3% fat and all gluten free they make the perfect base for a delicious topping. Pick Up! 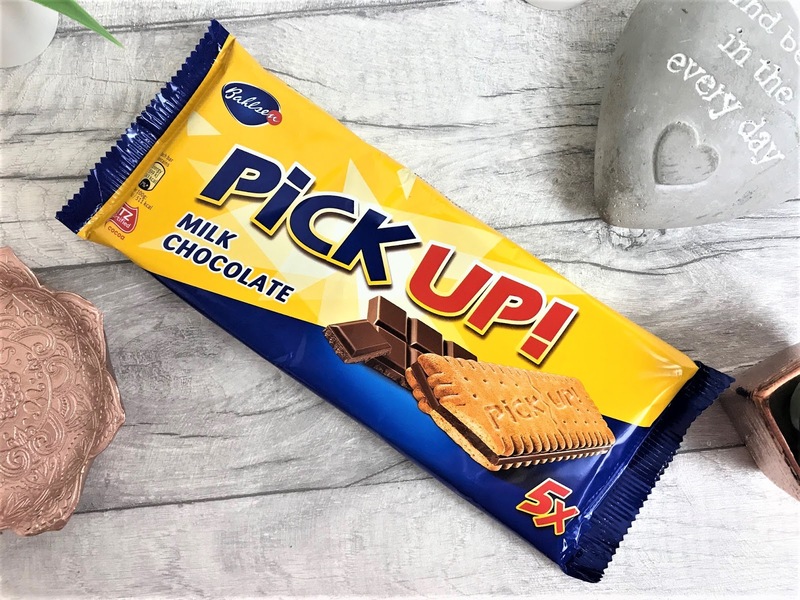 (£1.69) - I first discovered these through Slimming World and they are a delicious combination of thick and smooth chocolate and crunchy biscuit. You get five in a pack and each one is individually wrapped making them the perfect on-the-go treat. *This Degustabox was gifted to me but all opinions are my own. By using the discount code, I will receive a minimal reward.